Drop height Options: 28", 42"
The Orbit series utilizes our signature hand-milled seamless blades radiating from a central point, creating rhythmic lines of light. The Orbit is available in a range of three configurations: three, four, and five blades. 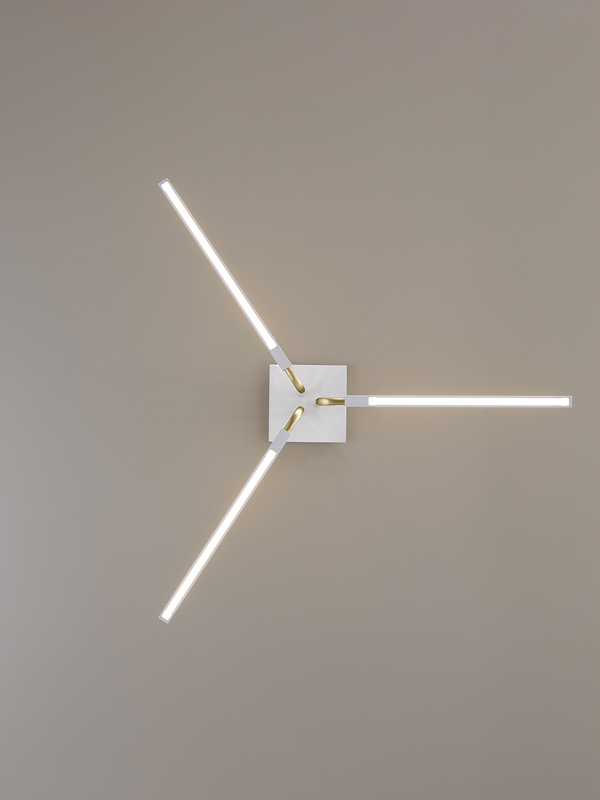 The design of the blades allows for the emission of direct light downward while simultaneously casting indirect light upwards, providing additional ambience.